Want to know the premiere dates for The 100 season 6, iZombie season 5, and Jane the Virgin season 5? You’re in the right place! The 100 season 6 has just booked one of its biggest recurring guest stars, and it’s someone in JR Bourne you may be familiar with. Is Christopher Larkin, Chelsey Reist leaving The 100 after season 5 finale? Are Christopher Larkin and Chelsey Reist leaving The 100 following the intense events of the season 5 finale? Well, prepare to get some tissues. 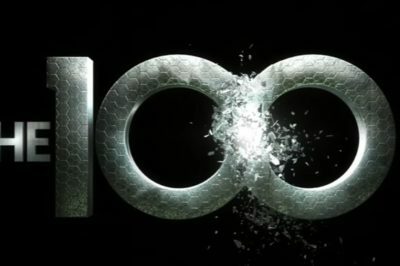 Following tonight’s finale airing on The CW, what could The 100 season 6 premiere date be? In this article, we want to offer some speculation! Tuesday night marks The 100 season 5 finale on The CW, and judging from most early indicators, this episode will be in part about Madi. The 100 season 5: Is Henry Ian Cusick leaving by finale’s end? Is Henry Ian Cusick leaving The 100 at the end of season 5? That’s probably the easiest assumption to make, especially based on the events of this past episode. The 100 season 5 episode 13 (finale) spoilers: Who could die? Next week on The CW, it’s here: The 100 season 5 episode 13, otherwise known as the season finale. Are you ready for The 100 season 5 episode 12 to be on The CW come Tuesday night? We hope so, since things are going to be emotional and crazy. Check out some more news on The 100 season 5 episode 12, which is going to help to kick-start the two-part finale.